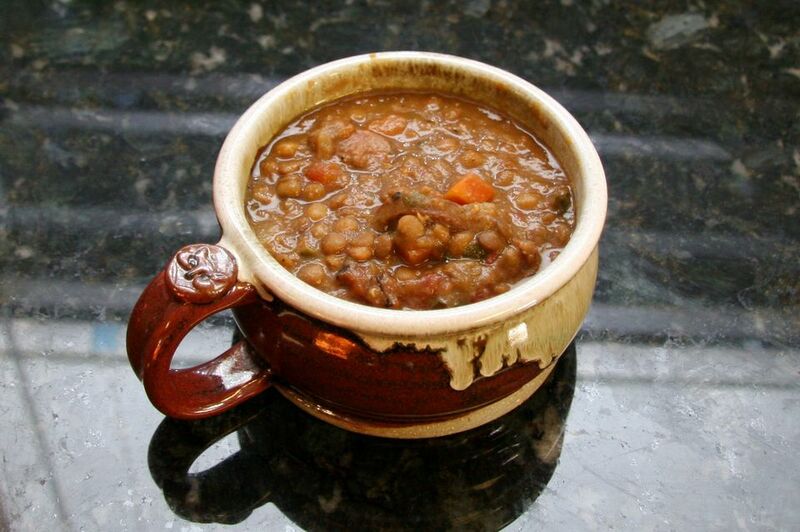 Spicy sausage makes this a hearty lentil soup. Use chicken and apple sausage, andouille, or your own favorite smoked sausage in this soup. This makes a big batch of soup for a big family or party, or freeze a batch for later. Rinse the lentils and drain them thoroughly. Combine all ingredients, except salt, in a 5 to 7-quart slow cooker. Cover and cook on LOW for 6 to 8 hours, until lentils and vegetables are tender. If desired, puree some of the soup in a blender to thicken. Or, use an immersion blender and blend until you reach the consistency you desire. Taste and season with salt, as needed.